The German writer and cultural critic Walter Benjamin (1892-1940) was born in Berlin, one of three children of assimilated Jewish parents. In 1912 he began his studies in philosophy, German literature, and art history at the University of Freiburg and then moved back to Berlin, where he encountered the teachings of the philosopher Georg Simmel. In 1914 he continued his studies at the universities in Munich and Bern, Switzerland. Benjamin married Dora Kellner in 1917; they had one son, Stefan, in 1918, before the marriage ended in divorce in 1930. Benjamin's doctoral dissertation on German Romanticism was accepted by the University of Bern in 1919. In 1923 he met his closest intellectual friends, the philosopher Theodor Wiesengrund Adorno and the cultural historian Siegfried Kracauer. His attempts to submit another professional dissertation to the University of Frankfurt, on the origin of German tragic drama, were not successful. The work was published in 1928 under the title Ursprung des deutschen Trauerspiels (The Origin of the German Tragic Drama). Benjamin eked out a precarious existence as writer, translator, and journalist. In 1925-1927 he journeyed to Moscow, to visit Asja Lascis, whom he had fallen in love with. In 1933, in the wake of the rise of Hitler and Nazism, he left Germany for Paris, where he stayed except for brief visits to the German dramatist Bertolt Brecht in Denmark. Before his exile to France, Benjamin had begun to formulate Das Passagenwerk (The Arcades Project), his work on Paris in the nineteenth century; he would devote the remainder of his life to this incomplete magnum opus. In 1936 he wrote the famous essay "Das Kunstwerk im Zeitalter seiner technischen Reproduzierbarkeit" ("The Work of Art in the Age of Mechanical Reproduction"). The text is the first to postulate the loss of the work's aura, that is the demise of its multi-tiered authenticity in view of the cultural implications of art's reproducibility in modern media. The German occupation of Paris in 1939 drove Benjamin from the French capital, but his manuscripts remained hidden in the vaults of the Bibliothèque Nationale until after the war. Border police halted his attempt to escape to Spain across the Pyrenees in September of 1940. Mentally and physically exhausted, Benjamin committed suicide in Port Bou, Spain. He carried with him a black bag with what is rumored to have been a final version of The Arcades Project. It was never recovered. Benjamin's significance for the interpretation of fashion resides in his unfinished chef-d'œuvre, Das Passagenwerk. A vast array of fragments, excerpts, aphorisms, quotations, metaphysical musings, and sociopolitical observations constitute the material for this book on Paris in the nineteenth century, the "pre-history of modernity," as Adorno called it. Fashion, both as an economic force and a visual signifier, is one of the most important features of The Arcades Project. Benjamin collected some hundred entries that deal with couture, dress codes and the art, literature, philosophy, and sociology of clothing (including a wealth of quotations from Simmel). His works on French literature; translations of Charles Baudelaire and Marcel Proust, with whom he shared sensibilities in regard to fashion; and essays on visual art in France were preparatory to the project, and his collections Thesen Über den Begriff der Geschichte (1942; Theses on the Philosophy of History) and Zentralpark (1955; Central Park) are methodological spin-offs. A number of abstracts that he produced over the course of a decade explain and modify his conceptual approach. Common to all these writings is the centrality of fashion as a historical fact-not simply as a historicized element of the past but more as a force that through its constant self-reference and quotation breaks the historical continuum and activates, at times even revolutionizes, past occurrences for the present. It is Benjamin's principal achievement to use dialectical materialism-that is, the materialist philosophy that regards the process of development in thought, nature, and history as coined by the necessary contradiction of ideas (albeit rather unorthodoxically) in this context as a structuring device against historicism, which uses styles, ornamentation, and motifs from the past often in eclectic and not reflective combination, and also against the notion of history marked by linear progress toward constantly higher levels of technical proficiency and material satisfaction. The potency of Georg Friedrich Wilhelm Hegel's and Karl Marx's concept of history as turning from quantitative progression to qualitative change is used by Benjamin to create an analogy in fashion's willful quotations from its own source book, where a particular style or stylistic element is taken from costume history and brought into present fashion to create reference and friction simultaneously, along with new commodities. This method is seen as particular to fashion, not just as the result of the seasonal structure of haute couture but because fashion operates differently from the historicism inherent in other decorative or applied arts. Thus, for example, quotations in Empire furniture are different from citations of Greek dress in the Directoire fashion. Through the stylistic quote, the console or chair merely offers a consolidation of historical substance, while the high-waisted dress presents the direct impression of the democratic ideal on the body politic. In his Theses on the Philosophy of History Benjamin finds a poetic definition of fashion in history, a definition that moves from metaphysical to material questions and perceives fashion as a structural device. Through the sartorial quotation, fashion fuses the thesis of the eternal or "classical" ideal with its antithesis, which is the openly contemporary. The apparent opposition between the eternal and the ephemeral is rendered obsolete by the leap that needs the past for any continuation of the present. Correspondingly, the transhistorical describes the position of fashion as detached both from the eternal, that is, an aesthetic ideal, and the continuous progression of history. Benjamin conjures up the image of the "Tiger-sprung" to explain how fashion is able to leap from the contemporary to the ancient and back again without coming to rest exclusively in one temporal or aesthetic configuration. This generates a novel view of historical development. Coupled with the dialectical image, the tiger's leap under the open skies of history marks a convergence that is revolutionary in its essence. The text that contains the Tigersprung thesis indicates what The Arcades Project could have constituted in terms of a radical rethinking of fashion in modern culture, if Benjamin had finished it. Its excerpts demonstrate the leap from a sociological, art historical, or material observation of clothes to an understanding of fashion's unique character as a historical constituent, a structuring device, potentially even a revolutionary force. Benjamin tempts us in his unfinished work with glimpses of a new abstract perception of fashion viewed independently of its material basis (textile industry, haute couture, distribution, representation, and so forth), but retaining its materialism, that is, its sociopolitical significance. It is seen as part of intellectual culture, to be debated and interpreted simultaneously as sensuous and poetic, that is, as an expression of contemporary beauty, and on an abstract and metaphysical level, as an independent structure of modern existence and cognition. See also Historical Studies of Fashion; Theories of Fashion; Historicism and Historical Revival; Georg Simmel. "Theses on the Philosophy of History." Illuminations. London: Cape, 1970: 263. 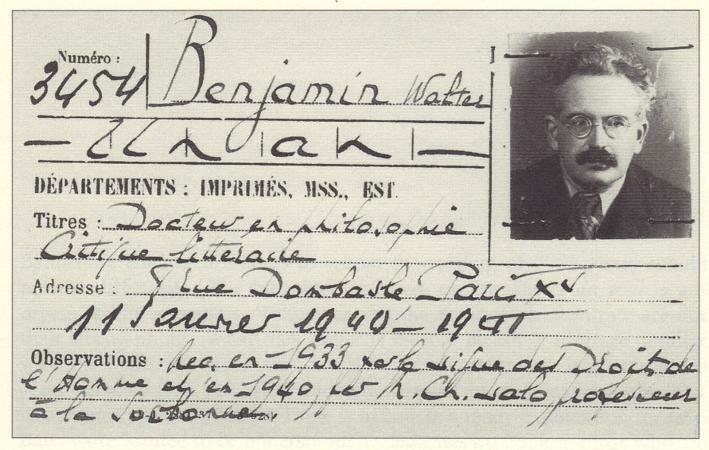 The Correspondence of Walter Benjamin 1910-1940. Edited by Gershom Scholem and Theodor W. Adorno. Translated by Manfred R. Jacobson and Evelyn M. Jacobson. Chicago: University of Chicago Press, 1994. The Arcades Project. Translated by Howard Eiland and Kevin McLaughlin. Cambridge, Mass. : Belknap Press, 1999. Selected Writings of Walter Benjamin. 4 vols. Cambridge, Mass. : Belknap Press, 1996-2003. Bolz, Norbert W., and Richard Faber, eds. Antike und Moderne: Zu Walter Benjamins "Passagen." Würzburg, Germany: Königshausen and Neumann, 1986. Bulthaupt, Peter, ed. Materialien zu Benjamins Thesen "über den Begriff der Geschichte": Text, Varianten, Briefstellen, Inter-pretationen. Frankfurt, Germany: Suhrkamp, 1975. Frisby, David. Fragments of Modernity: Theories of Modernity in the Work of Simmel, Kracauer, and Benjamin. Cambridge, U.K.: Polity, 1985. Lehmann, Ulrich. Tigersprung: Fashion in Modernity. Cambridge, Mass. : MIT Press, 2000. Smith, Gary, ed. On Walter Benjamin: Critical Essays and Recollections. Cambridge, Mass. : MIT Press, 1988. --. Benjamin: Philosophy, Aesthetics, History. Chicago: University of Chicago Press, 1990. 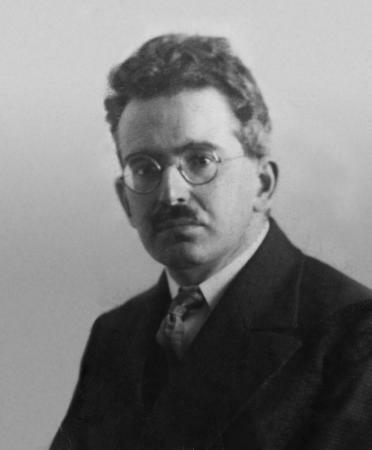 Steinberg, Michael P. Walter Benjamin and the Demands of History. Ithaca, N.Y.: Cornell University Press, 1996. Vinken, Barbara. "Eternity-A Frill on the Dress." Fashion Theory 1, no. 1 (1997): 59-67. Wismann, Heinz, ed. Walter Benjamin et Paris: Colloque international 27-29 Jun 1983. Paris: Le Cerf, 1986. Wolin, Richard. Walter Benjamin: An Aesthetic of Redemption. Berkeley: University of California Press, 1994.